Alexandria, VA – The National Guard Youth Foundation (NGYF), the national nonprofit organization that supports the National Guard Youth ChalleNGe Program, is partnering with the Academy for College Excellence (ACE) to help college-bound ChalleNGe graduates with the transition to community college. ACE works with students to persist through myriad academic, social and personal challenges and to succeed at community college through development of their intrinsic strengths. Students that participate in the semester-long ACE program are 600 percent more likely to succeed in one of these online colleges found here. According to an MDRC study conducted on the ChalleNGe program, ChalleNGe students are 86 percent more likely to attend college. In many cases, ChalleNGe graduates are first-generation college students with different needs than the students colleges were originally designed to serve. ACE helps colleges with a new approach that better serves these students coming through their doors. Where student equity gaps exist between the college populations and their communities, ACE has been effective in helping colleges to improve access and success. 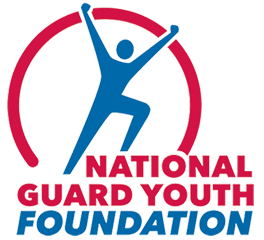 About the National Guard Youth Foundation The National Guard Youth Foundation is a non-profit, 501(c)(3) organization dedicated to addressing the nation’s school dropout crisis by giving youth a second chance through the National Guard Youth ChalleNGe Program. NGYF advocates for and supports ChalleNGe, run by the National Guard; raises awareness of the impact that the school dropout crisis has on our society, economy and national security; and provides ChalleNGe graduates with scholarships and career support to help them continue on their path of success. For more information, visit www.ngyf.org. About the National Guard Youth ChalleNGe Program Conducted at 36 academies across the country, the National Guard Youth ChalleNGe Program is operated in conjunction with the U.S. Department of Defense, National Guard Bureau, state governments and local sites. The program consists of a 5 1/2-month residential phase framed around eight core components: academic excellence, responsible citizenship, physical fitness, leadership/followership, job skills, service to the community, health and hygiene and life coping skills, and a 12-month post residential phase during which mentors continue to provide guidance and support to graduates. Helping more than 130,000 teens to date turn their lives around, ChalleNGe is recognized as among the most cost-effective, highly rated programs of its kind for youth who have dropped out of school. An independent, multi-year study of the program by MDRC shows that high school diploma/ GED attainment increased by 29%; college attendance increased by 86% and annual earnings increased by 20%. An independent cost-benefit analysis by the RAND Corporation shows a 166% return on investment in the program – every dollar spent yielded a return of $2.66 in benefits to society. About Academy for College Excellence The Academy for College Excellence is a sponsored project of Rockefeller Philanthropy Advisors, a registered public charity under Section 501(c)(3) based in New York, NY. ACE is dedicated to the transformation of community colleges to support and engage underprepared and underserved populations. Since its founding in 2003, ACE has trained over 1,000 faculty from alternative high schools, community colleges, universities and community-based organizations nationwide with a collective impact on over 50,000 students.